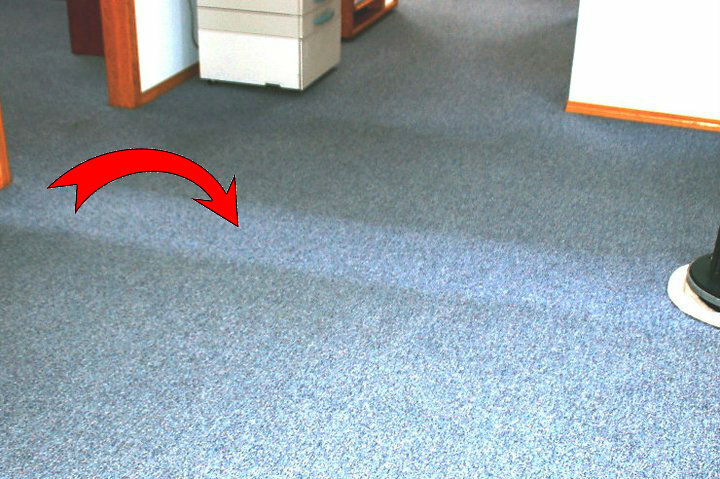 There are good ways to clean carpet, and there are bad ways. Some like to get in and out quickly because, after all, the more homes they can complete in a day, the more money they make. Totally, understandable from a business point of view. But that doesn't necessarily mean they're taking the proper time to clean the carpets properly. We like to take our time. It just gets your carpet cleaner. Let's pretend you're cleaning up a mess on your carpet from juice or dog accident or something. What method usually works best? To scrub really fast for a few seconds? Or take your time, blot, use the proper cleaners, etc.? Our system is a low-moisture, oscillating system. Our machine has cleaning pads attached that we switch out for clean ones many times over the course of your carpet cleaning. Those pads are rotating really fast, and uses a lot less water. We can show you the proof of how much dirt and grime we're pulling up! Your carpet will be dry a lot faster than you're probably used to with traditional methods of carpet cleaning systems. Normally, your rug or carpet will be dry between half an hour and two hours. The bottom line here is that we found a great carpet cleaning system to use... and we take our time to make sure that we're getting your carpet as clean as it possibly could be. 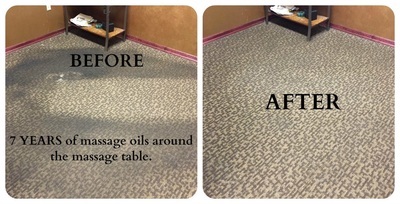 That makes for a great looking carpet or rug... and your carpet will last longer with good, consistent cleanings. 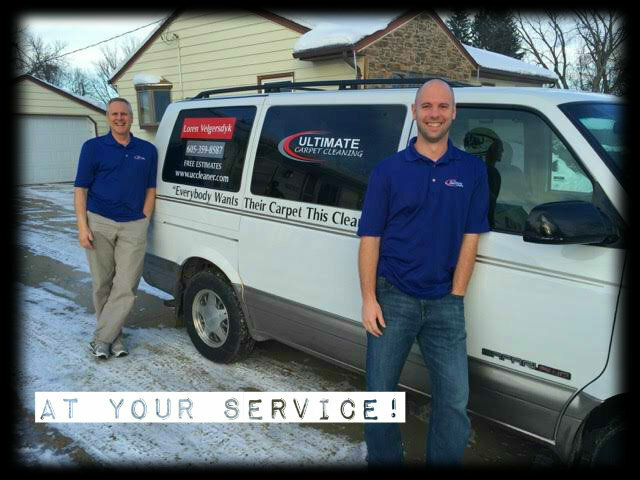 Give us a call for a carpet cleaning estimate for your home or business. We have commercial and residential clients (and many churches) who have been trusting us for years. They've come to love the job we do... and how we do on stain removal. Some stains are incredibly stubborn and almost impossible to get out, but we have a pretty good track record for getting out certain stains that were otherwise labeled "hopeless". We'd love to help! Talk to you soon! Carpet Cleaning. What's the Point? What's the point in getting your carpet cleaned if it just wears out in 7 or 8 years? Well, there are a couple good answers to that question. 1) Carpet lasts much longer when you have a good carpet cleaner to your home or business at least once a year. And heavy traffic areas more often than that. Especially if you're in an office where thousands of feet trample hallways and other high-traffic areas all day long. It will last longer because as long as there is dirt, sand, tiny rocks, grime, etc. on your carpet fibers... those fibers are constantly being attacked. As the carpet is walked on, the dirt acts like tiny little saws, hacking away at each and every single fiber. And over time, it takes its toll. And any oils or griminess will eat away at the fibers as well, making them weaker and easier to break down. 2) Carpet acts as a filter in homes and businesses. It's an extra air filter. Dust gets trapped in carpet fibers. So, instead of constantly flying around the air and entering our lungs, our carpet helps reduce dust, pollen, tiny skin flakes, and everything else that is in our "dust". 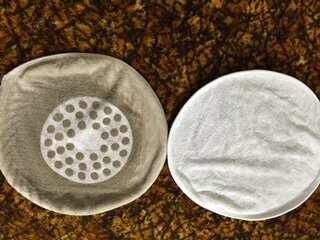 Here's a before and after shot of our carpet cleaning pads. Yuck. Residential and Commercial. Hardwood, Laminate, Carpet, Rugs, and Upholstery Cleaning. Carpets are dry in less than 2 hours! 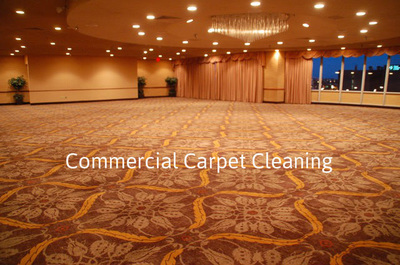 There are many things a business considers when choosing a carpet cleaner. How long will it be wet?... because I don't want employees or customers walking on wet carpet. Will you have to bring loud fans in to dry the carpet? Am I going to have to give them access after business hours? Is it safe? Is it effective? Are the employees trustworthy, neat, and professional? Let's go over some of those concerns quickly. 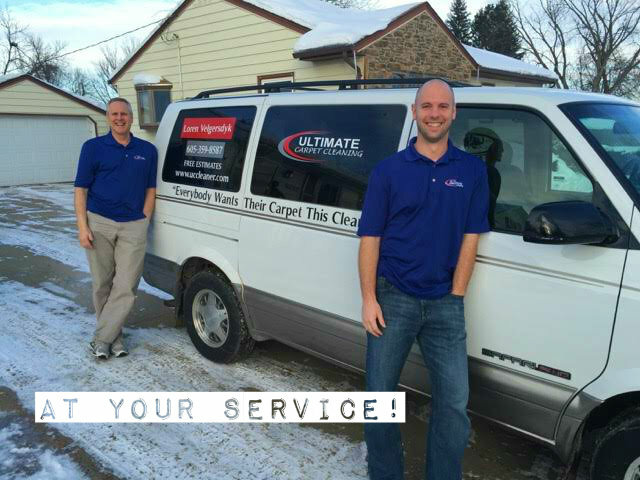 Then, you should be able to make an informed decision on whether Ultimate Carpet Cleaning in Sioux Falls will be your "go to" commercial carpet cleaner. 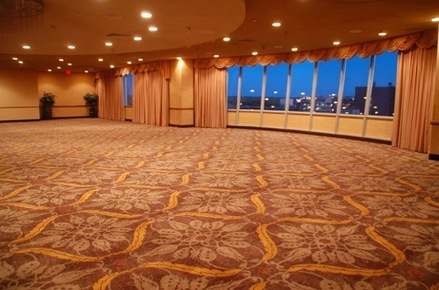 Our very low-moisture system is the cleaning of choice for many businesses in the area. They've come to realize there are a number of extra benefits they get, and no extra charge. 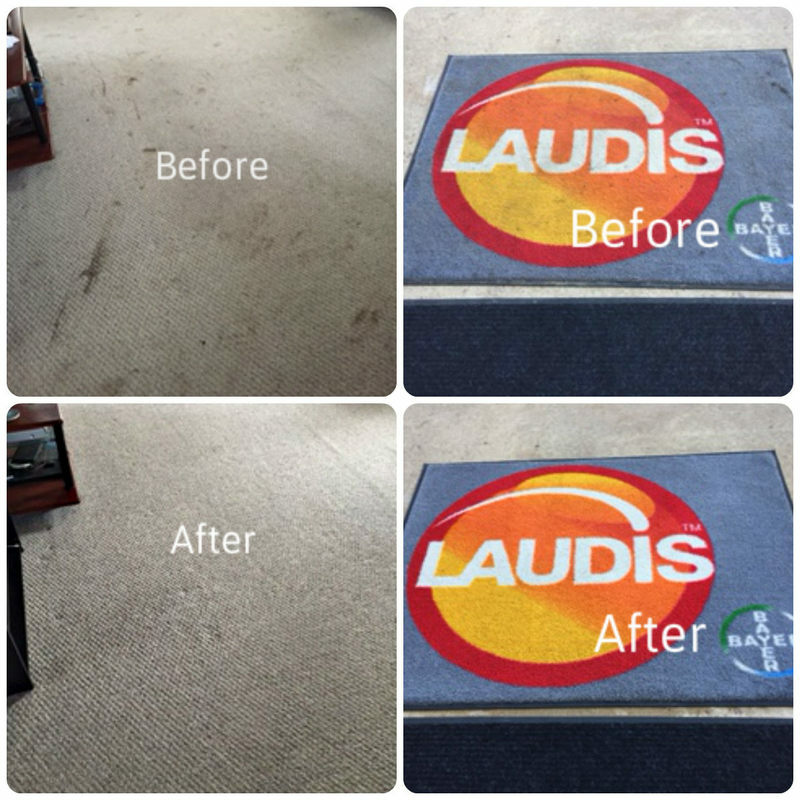 With our system, your carpets stay clean longer. Fast drying. For example, we can clean a motel room, and it can be rented out in 30 minutes because the floor will be dry. 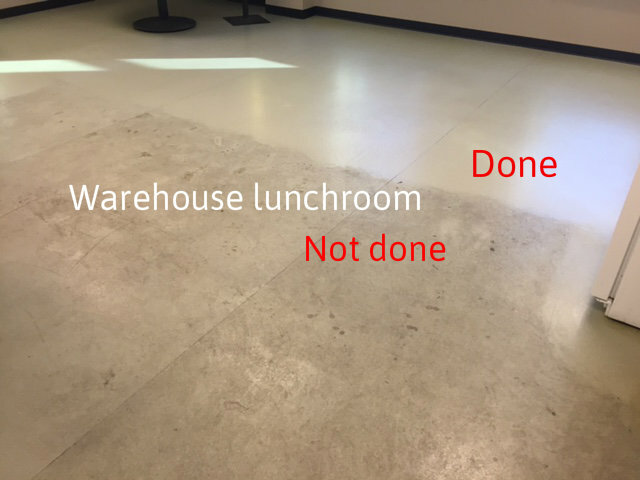 We can clean in a business during business hours because our machines are quiet, the carpet dries fast, and it even doesn’t hurt if people walk on it while we are cleaning! We do not over-saturate the carpet. 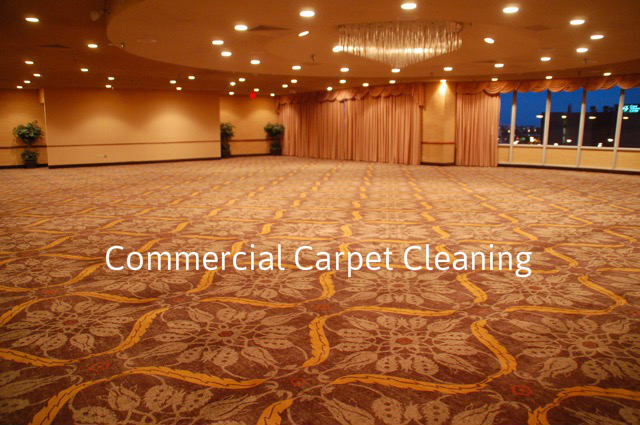 We can clean during business hours because we don’t need noisy fans to dry it, the carpets dry fast without them. 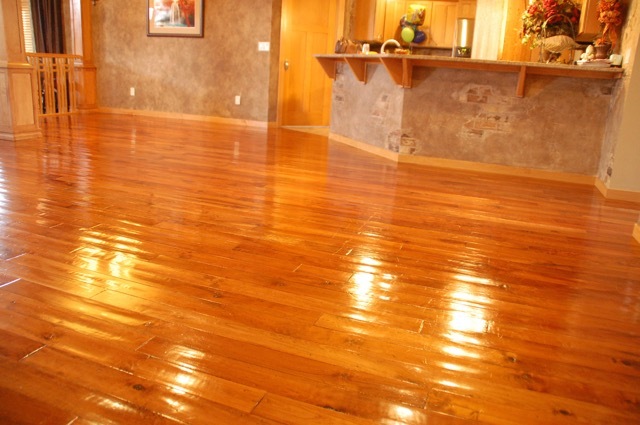 We can clean during business hours because we use a cleaning product that has no smell. So, people who have acute chemical sensitivity will not be bothered. 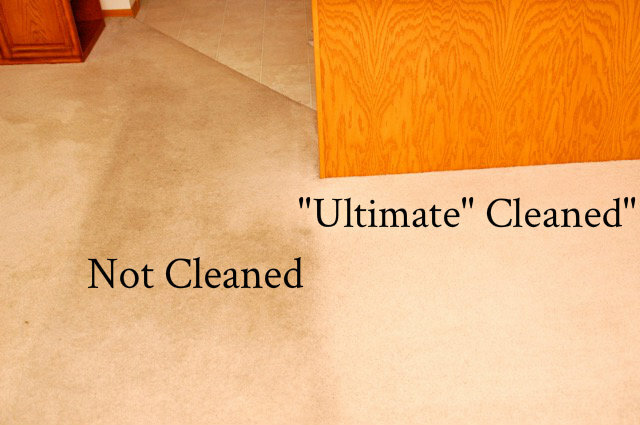 If we clean the night before, you don’t have to worry if the carpet will be wet the next morning. It won’t have a wet, musty smell. I probably shouldn't forget to mention that my son and I take our professionalism very seriously. We want to do such a great job for you that it will be an easy decision to call us back the next time. Call, email, or fill out our Contact Form HERE. Thank you for your consideration. Does Your Carpet Have To Be Steam Cleaned? DO YOUR CARPETS HAVE TO BE STEAM CLEANED? There are many carpet cleaning companies in Sioux Falls and all over that country that use hot water or steam to clean carpet. Do you need all that water? Our oscillating carpet cleaning system totally debunks the myth of needing a lot of water or steam. The steam cleaners (sometimes called the hot water extraction method) tend to use a LOT of water. And that just causes your carpet to be wet for a much longer period of time than is necessary. 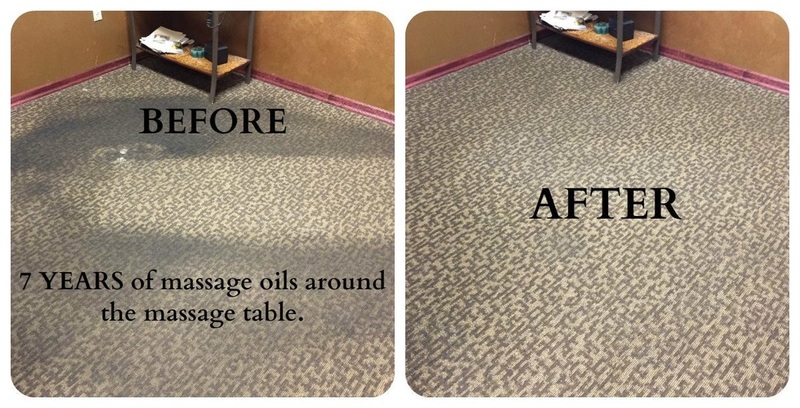 We use our oscillating, low-moisture carpet cleaning system because it's what we have found works best. We would rather create as many happy customers as possible. Our system allows us to do that. We've cleaned with other methods. But we found what creates beautiful results. Of course there are always challenges with certain types of stains or long-term stains... but we've also had amazing success with typically stubborn stains. If you have some of your own, give us a call and ask us what kind of success rate we have with particular stains. We've most likely seen at all and cleaned it all. 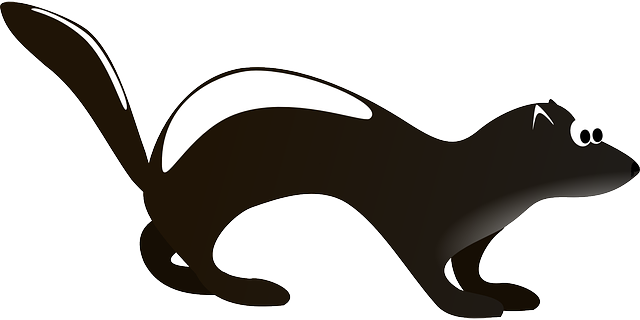 Our low-moisture method of cleaning your carpet means that it's not soaking wet for 6 hours. Your carpet will be dry between 30 and 120 minutes! And our cleaning products are all natural. Safe for your family and pets. We'd love you to experience how well we do our job!